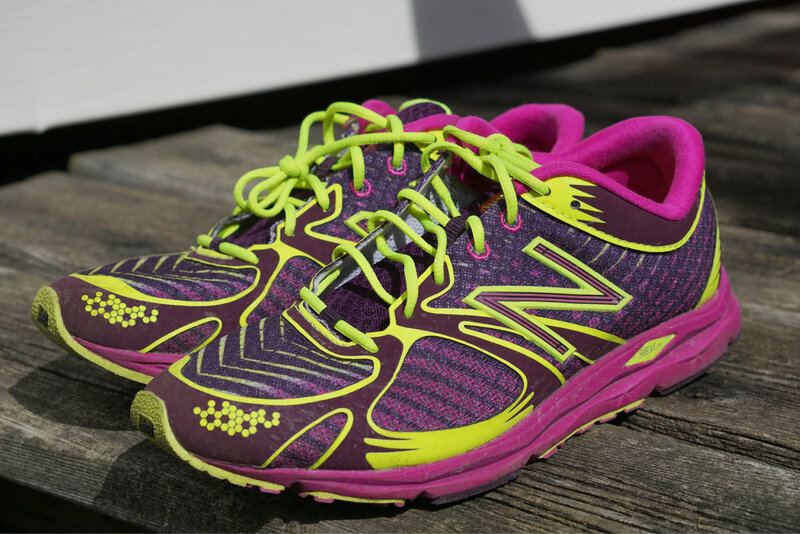 I’ve always run in proper running shoes, so it’s not a totally miraculous self-discovery. 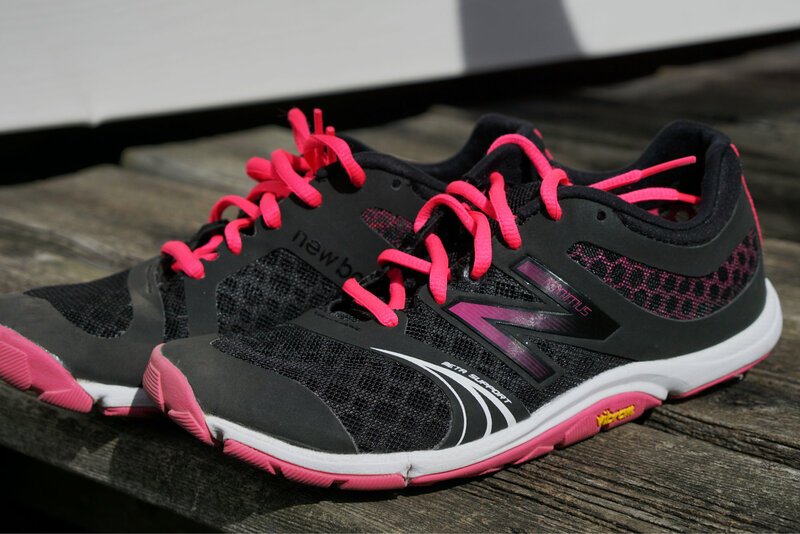 To cut to the chase, here’s what I’m running in right now: New Balance’s Minimus 10v3 Trails! Aren’t they pretty? I love them. You’ll see why when you read on! But, I was training in a different pair of shoes for the Nike 15K earlier this year that were amazing for me. 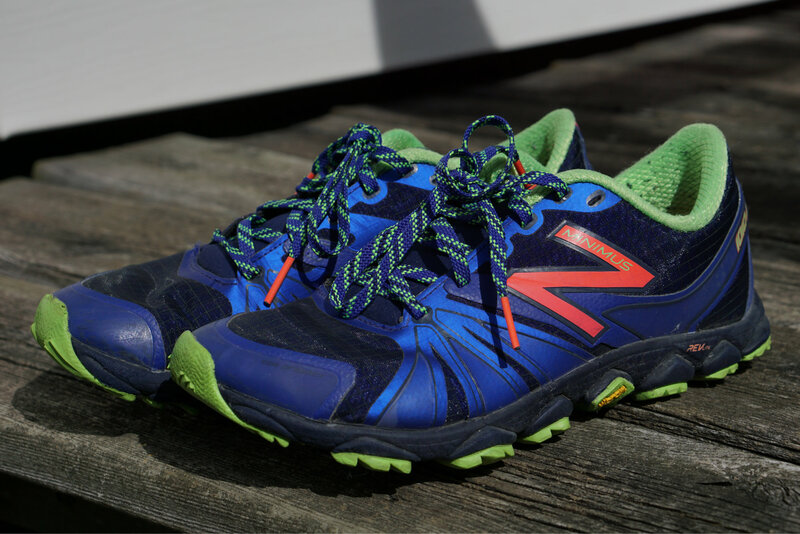 Here’s my old pair of New Balance 1010v2‘s (minimal trail runners). I was really sad when I started running after recovering from my cuboid injury because the shoes were extremely painful to run in! That injury must have changed something in my foot and I was forced to retire them from long-distance running. Luckily, they’re more than perfect for parkour! The only other shoes I had at the time were New Balance RC1400v2‘s (lightweight, minimal road racers). I bought the RC1400v2’s back in the spring when they were on sale. I tried them a half size bigger than what I normally wear for runners, which is the common recommendation to accomodate for typical foot swelling during long runs, and they felt okay in that size even with a quick run around the store. I figured that I wouldn’t really feel that discomfort by the time I’m on the 8th kilometer or so and I could use a nice road runner as an alternate. I started running in the RC1400v2’s and immediately noticed that something wasn’t feeling quite right. They weren’t causing me a lot of pain like the 1010v2’s were, but there was a slight discomfort about the shoes that I couldn’t really place. I even did a different lacing style! I ran the Toronto ZooRun 10K in the RC1400v2’s, but my calves and ankles ended up super tight and there was something wrong with my injured foot. It didn’t really warrant a trip to the doctor’s (yet), but it was definitely something to consider! Once I started running in the new Minimus 10v3s, there was minimal pain after a long run of 10km and my foot felt like normal. 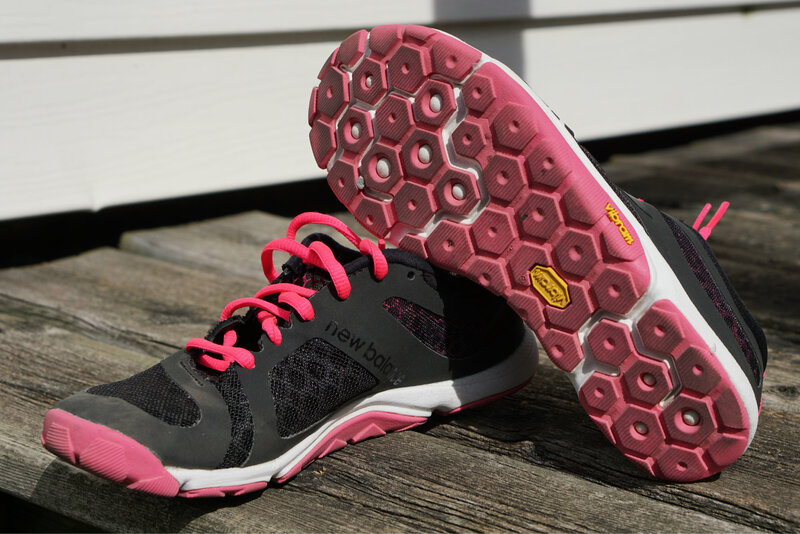 The new Minimus 10v3s are also minimal trail shoes, so there’s not much cushioning or support but something about the material and the sole’s design makes it a super comfortable ride for me! The best part? They’re so comfortable that I managed to get my easy pace down to 6’04” without much effort! I’m looking forward to logging in some major mileage in the next year! Do you have a favourite shoe? What is it?